The agricultural boon has raised the standard of living of the people in the area, enabling them to send their children to college. It sounds like a dream come true, this much-welcomed positive news about global warming. But in reality, the future looks grim: the icecap will soon disappear—forever. The flow of water has been steadily declining, and by 2050, scientists estimate that it will stop altogether. 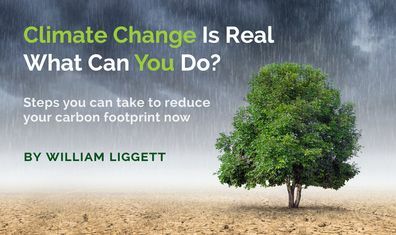 The people will then have to return to scratching a living on the barren land and going hungry—as well as dealing with the fallout: the melting icecap has unleashed long-buried heavy metals like lead and cadmium, contaminating the water supply and killing livestock and crops. This is just one example of the many challenges our communities must face as global warming wreaks havoc on our lives. 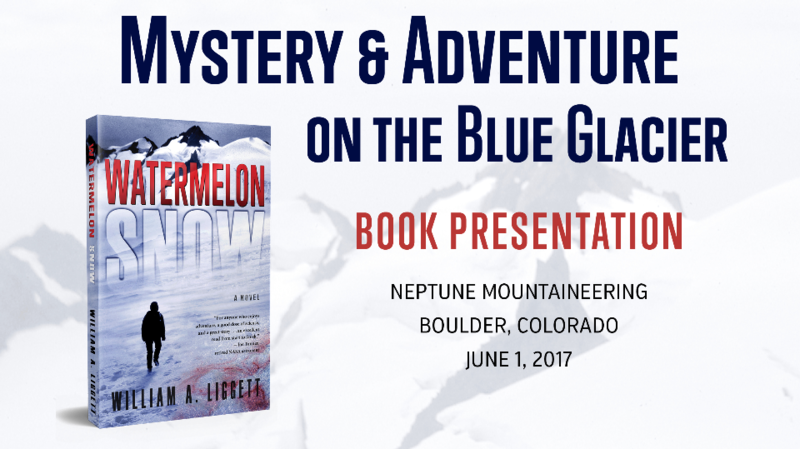 I wrote my novel Watermelon Snow, in part, to draw attention to the loss of all alpine glaciers around the world. The Blue Glacier and the nearby rain forest in the Washington wilderness provided the setting and inspiration for my adventure novel. I spent the summer there as an 18-year-old and recently visited to do research for this book. Over the last hundred-plus years, this magnificent glacier has retreated significantly due to global warming. See the photos below. At my book launch event, I presented a SLIDE SHOW depicting how this dramatic scenery led to my story. Find out what it was like to live on a glacier for three months, and experience the beauty and majesty of this magical yet dangerous place—which, sadly, will most likely disappear within the next 100 years. Have you ever been to a glacier? Where? I’d love to hear about your experience. Please leave a comment below. Tiffany, Thanks for your comment. I am delighted to hear that you and your boyfriend find my writing helpful. 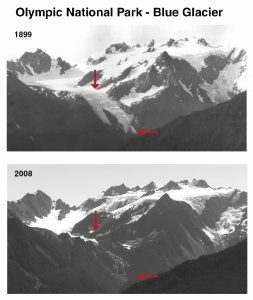 The loss of these beautiful glaciers, the steady meltwater they provide, and the humans and wildlife that depend on them is a slow motion tragedy in the making. Please let me know when you finish reading Watermelon Snow and let me know what you think.